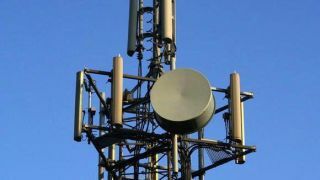 According to a report, the US wants the world to free up radio spectrum for the developing 5G tech, civilian drones and a global flight tracking system. The chairman of the FCC, Tom Wheeler, has called on other countries to start freeing up more frequencies to make room for 5G, a booming civilian drone market, as well as other systems that can be used globally, Reuters is reporting. "The big question here is will the other countries of the world be participating in meeting that spectrum need in a way that produces scope and scale economies that allows the wonder of wireless and truly the transformative power that this represents to individual human beings, let alone to economies," he said during the World Radiocommunication Conference in Geneva, according to the report. The US is planning to start freeing up spectrum as early as next year, with the country's VHF spectrum to be auctioned off starting March 29. While the FCC is hoping other nations will joint in the push for freeing up spectrum for developing tech, US Ambassador Decker Anstrom says views amongst other nations are divided in terms of civilian drones. Still, Anstrom believes a global agreement regarding spectrum for a global flight tracking systems is likely, and freeing up spectrum for the next generation of mobile networks, 5G, seems inevitable.